Get Yourself a Beauie Classic! 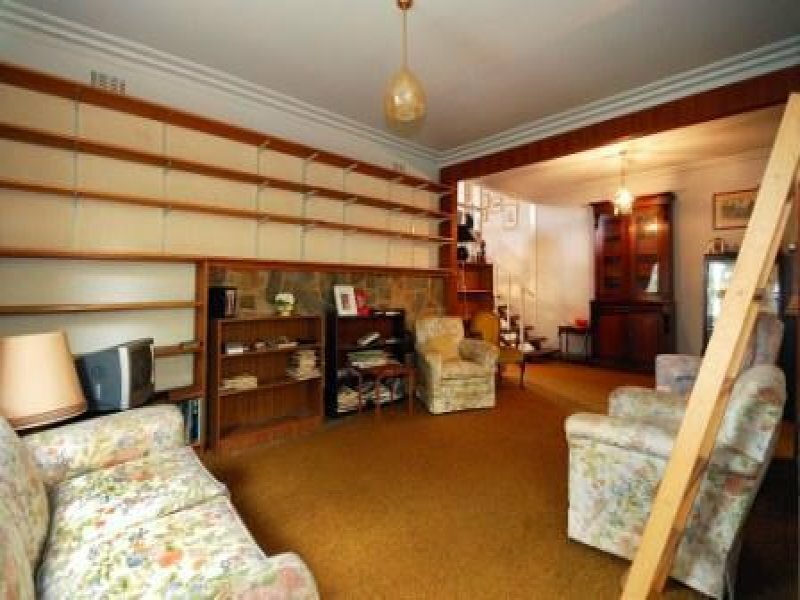 Today I thought I’d branch away from modernist landscapes and delve into another time-consuming passion….. trawling the real estate listings of my local area to find architectural gems! As I may have mentioned, Beaumaris is a great suburb. The beaches, reserves of local plants and the canopy of native trees to its streets create an amazing place to live. 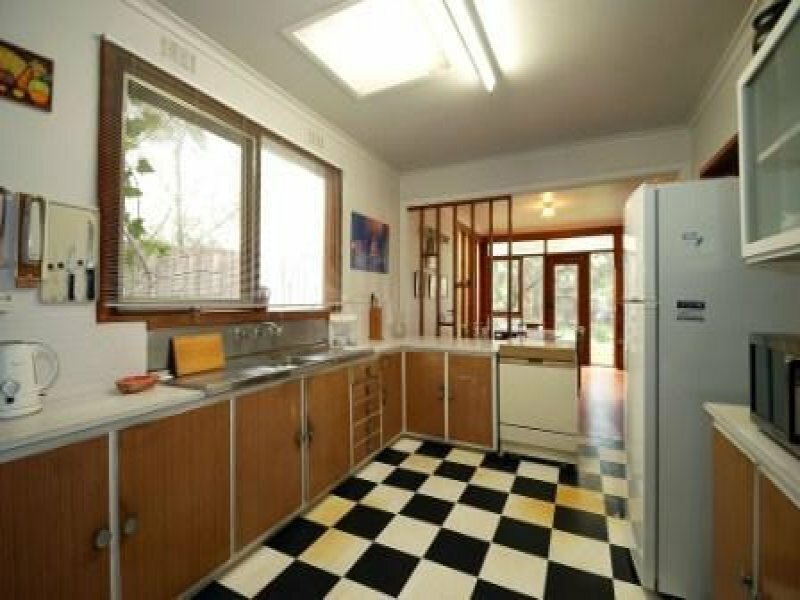 Also, there are so many classic homes from the 1950s, 60s and 70s. So whenever one of these homes go on the market, it’s a nervous time waiting for someone to come along and fall in love with it! I admit that some are old and need a bit of restoration, but with a bit of vision they could all reclaim their former glory rather than being demolished. So here are a couple of offerings at the moment. One click on the image could be the beginning of a new love affair! The house below appears to have had a couple of additions over the years, but just check out the timber divide between the kitchen and dining room! And how about that stone feature wall! 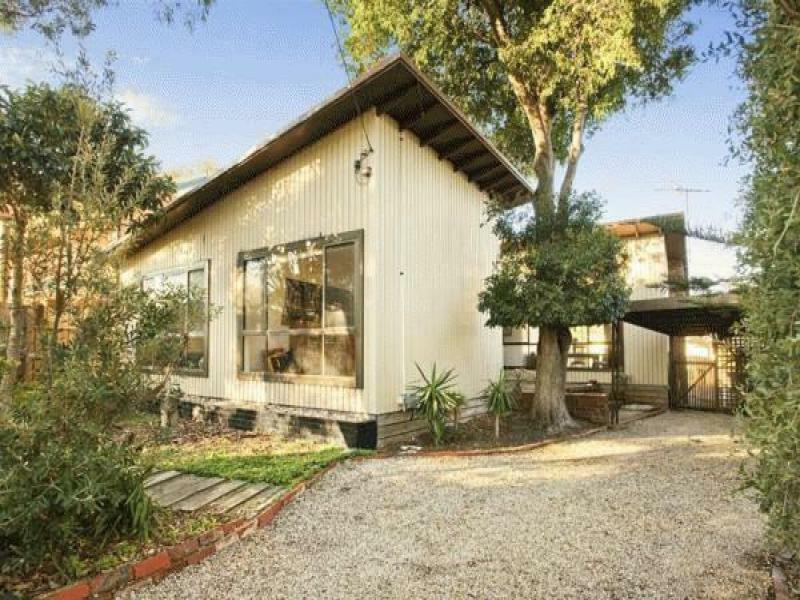 This home has great appeal from the street with its native canopy trees, gravel driveway and bush garden style. And lastly, I cannot believe that the house below is still on the market!! This is a classic Chancellor & Patrick design from 1962, features in the local council’s Bayside Architectural Trail (page 134) and is iconic for its timber detailing and internal fittings, prominent roof forms and the flow of its private gardens. For more information on the work of Chancellor & Patrick this post from Australian Modern is a great start. 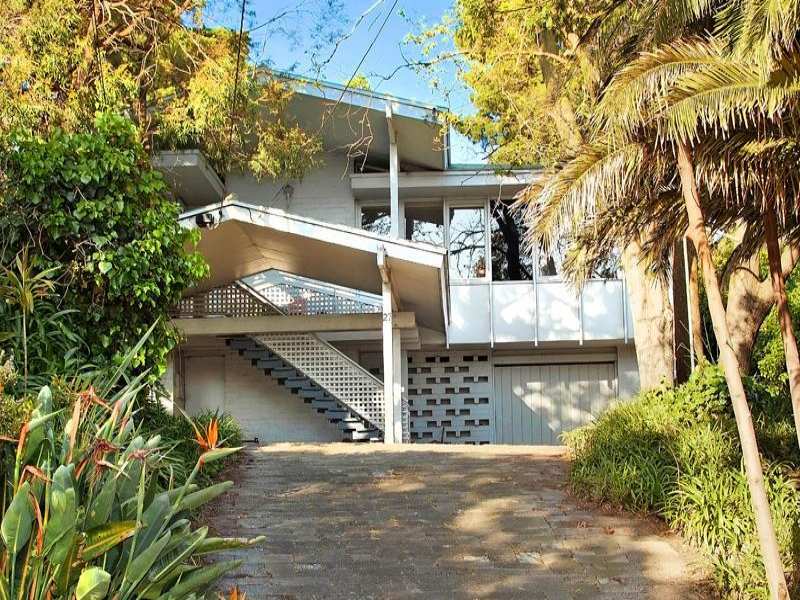 Below is a shot of the house courtesy of Trove showing a great use for the sloping driveway! what a shame they painted the brickwork out white. the contrast between the horizontal elements was wonderful. You’re right Steven. The older photo does look have a bit more impact with the darker brickwork. My Great-Uncle is a Melbourne Architect who started in the 60s and he tells me that the shadow lines of the brickwork was a key element of a facade. Today such brickwork is always rendered, creating a blank, flat colour and removing this effect. So many lessons can be learnt from mid-century design.